DPS Sector – 84 celebrated ‘Sharing and Caring Week’ to make students more sensitive and compassionate towards those less fortunate than them and to teach them the meaning of our motto ‘Service before Self’. A series of activities were carried out on 9th Oct, 2017,on the theme, ‘Each one Teach one’ where the students of Grades V, VI and VII, took an initiative to bridge the gap between the privileged and the weaker sections of the society. Students taught basic computer operations to the children who had come from Government Secondary School, Badha, Sikandarpur. They narrated stories to these children. Students also got a chance to show their creative side and made beautiful Bandhanvaars and table mats. They played various games together like football and cricket in the school playground. The children were offered refreshments and got together and danced to foot tapping numbers . Our school students bid them good bye with the promise that they will invite them again soon. 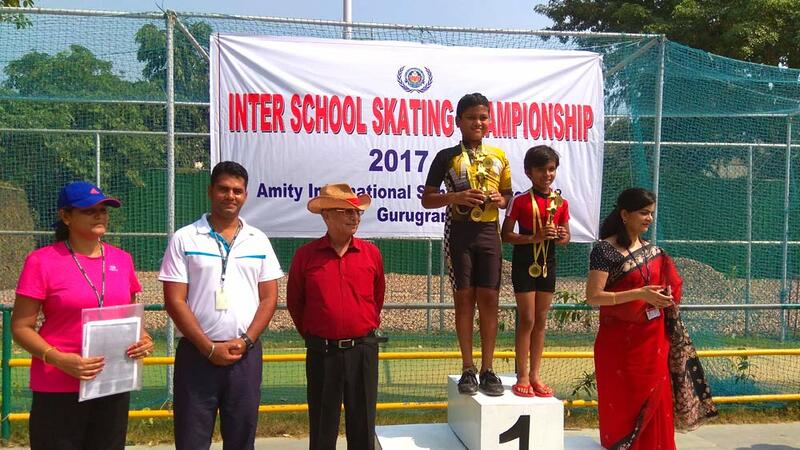 Inter School Roller Skating Championship was held at Amity International School, Sector – 43, Gurugram on 9th and 10th October, 2017. 1. Ghazal Verma of II A won Gold Medal in 300m and 500m category. She was adjudged the Best Skater in Under 8 – 10 Girls Age Group Category. 2. Krishna Verma of VII A won Bronze Medal in under 12 – 14 Age Group. Congratulations to the entire team and their coaches for this splendid performance. On 3rd and 4th October, our students donned the mantle of responsibility and did their bit for the cause. 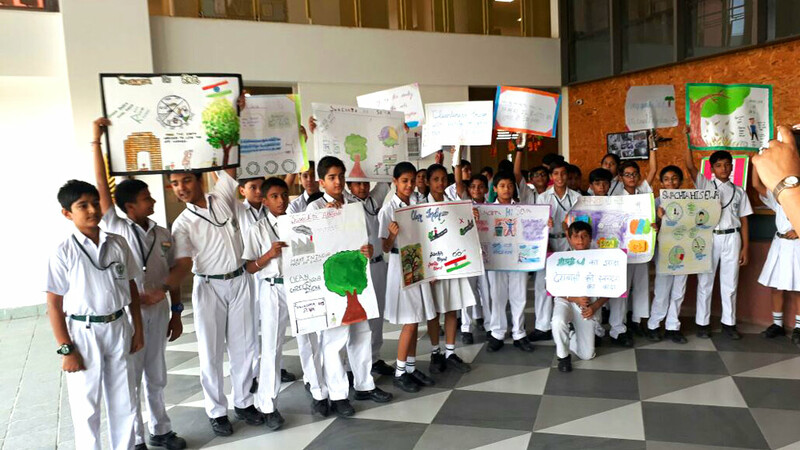 They made posters and placards to spread awareness, cleaned their own classrooms, re-used waste material to construct something useful and discussed the topic in detail with their teachers. Our Pre-Primary students also joined the cause and enthusiastically took out a rally in the school displaying posters and shouting slogans on Clean India. Students of Grades V to VII went to Government Secondary School, Sikandarpur, Badha on 4th October, 2017 as part of this cleanliness drive. They were armed with brooms, masks, gloves, posters, placards etc. and cleaned the school premises with dedication. They also spoke to the students present there and gave them valuable lessons on cleanliness, hygiene and the need to spread awareness. The effect of this initiative can be seen in the school. 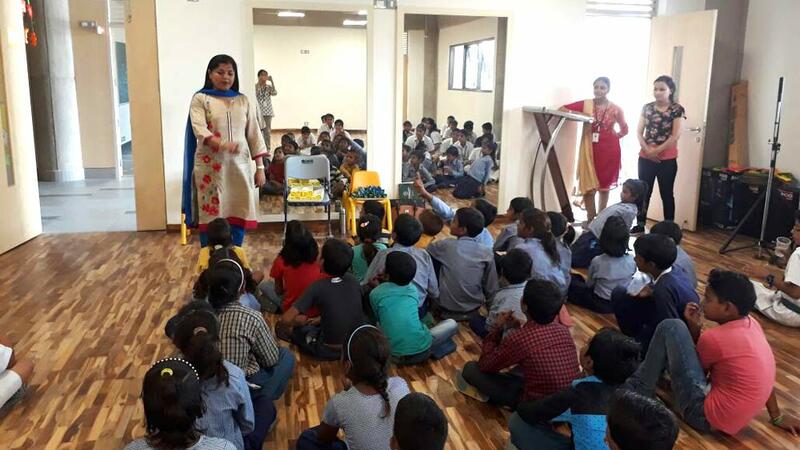 Students have become more particular about cleanliness, are grateful to the nannies and the housekeeping staff who keep their classrooms and school clean for them and also now see themselves as guardians and custodians of their environment.